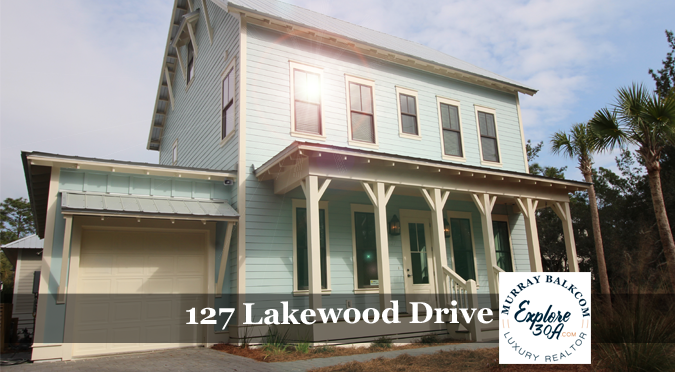 127 Lakewood Dr – Enjoy beach-style living south of 30A and everything it has to offer. Launch your paddle boards or kayaks into Eastern Lake and paddle to the beach from just around the corner. 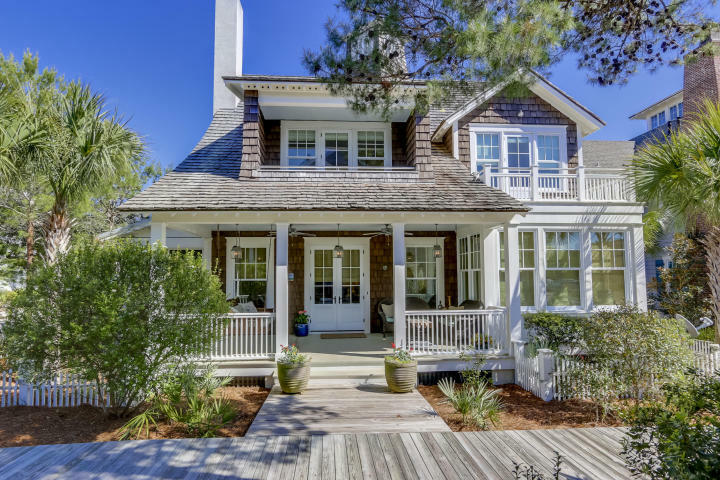 This spacious beach cottage features all of the typical upgrades and amenities you expect to find in any luxury home, with maybe a few extra. The Eastern Lake area of 30A is a great draw to those in the know, and walk down to the east just a little bit, and enjoy the serenity of Deer Lake State Park. Sound Insulation – denim insulation (plus an acoustic membrane in vertical walls) cocoons the master bedroom, the wall between living room and guest bedroom, and the half bath. Garbage Disposal – top of the line garbage disposal. Super powerful and quiet. 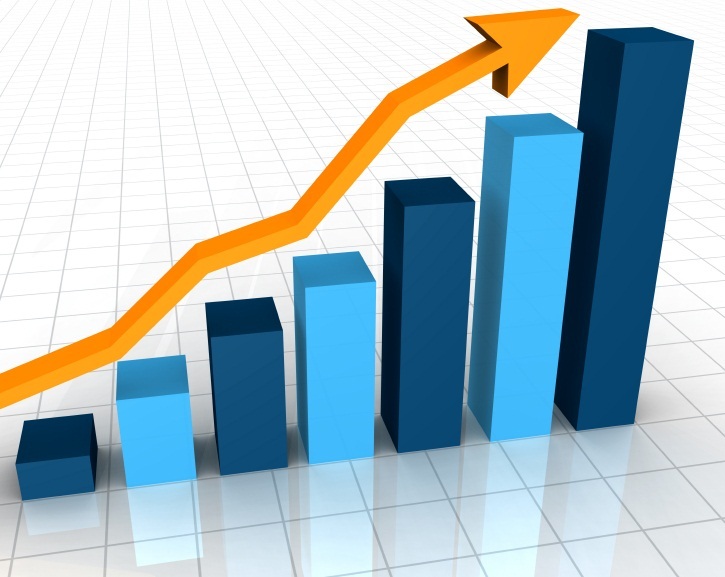 Foam Insulation – spray foam insulation in attic and under house. Solid-Core Doors – all doors except closets. Thermador professional 1200CFM hood, Thermador dish washer, and a Scotsman pearl ice (sonic ice) maker. Central Vac – whole house vacuum vents outside on all three levels with toe kick sweep in kitchen. Gas Stub Out for Grill – plug in your grill and never run out of gas! Sauna – real deal top of the line sauna. Wires – extensive low voltage wiring. Over 50 Cat-6e home runs, RG6, all wiring for alarm system, HDMI, security cameras (4 exterior installed, 5 interior cable ready). Everything runs back to central location. Theatre Wiring – bonus room prewired for 7.1 surround sound. Smart Switches – all lights in kitchen, living room, bonus room, and bedrooms are on dimmers. Fans are on auto switches (master is on timer). Additional bathroom lights on timers (no more leaving the lights on!). Ceiling fans are all on wall controls.Custom Shelves & Drawers – custom shelves with built in drawers on 2nd floor bedrooms. 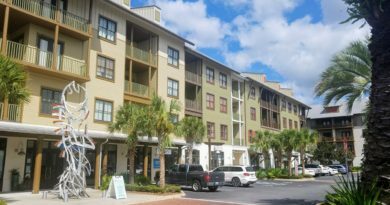 Ample Parking – you can park 5 cars on our driveway plus one in the garage. Home Audio – ceiling speakers in living/kitchen, and front porch with wall controls (cable ready for rear by grill). Water Purifier – whole house stainless steel 4 stage water filter plus additional 3 stage water filter at kitchen sink. Quiet Bath Fans – Panasonic WhisperCeiling bath fans, the quietest on the market (all vent outside). Storage Loft in Garage – creates lots of storage! Dual Washer/Dryer Hookups – additional W/D hookup in garage so you don’t have to drag your sandy towels inside. Bronze Exterior Light Fixtures – light fixtures on exterior will not rust. 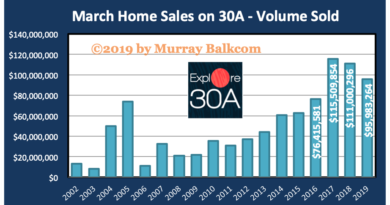 Schedule your personal tour with Murray Balkcom today. 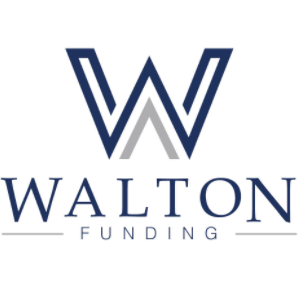 If you need assistance with financing, consider contacting Kav Tucker with Walton Funding. 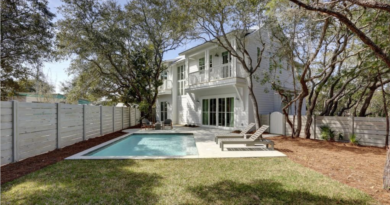 Murray Balkcom is a Broker Associate with 30A Local Properties located on 30A in South Walton, FL.